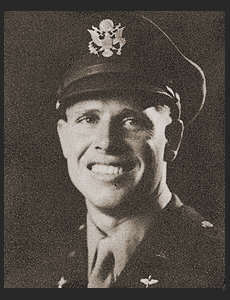 1st Lt. Lawrence R. Barnes, son of Mr. and Mrs. J. W. Barnes, graduated from Loveland High School; husband of the former Tommie Steele. Entered the Air Corps in June 1943, trained in Santa Ana, Tulare, Lemoore Field, Cal., Columbia, S. C.; served in India, Burma, China; awarded DFC, Air Medal with two Oak Leaf Clusters, Asiatic Pacific Ribbon with two Battle Stars, Am. Theatre Ribbon, Victory Ribbon.